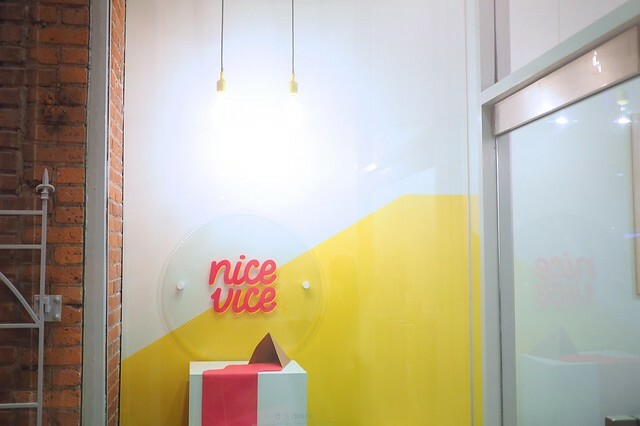 Yaletown—(February 3, 2016) Nice Vice Cream is Vancouver's first 0% dairy, organic, gluten/soy free, vegan-friendly, plant-based micro creamery. 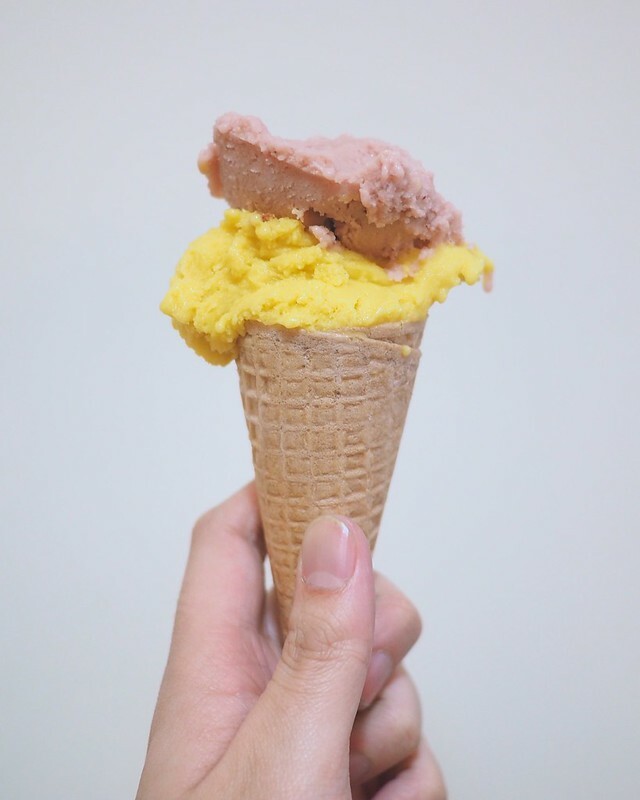 More than just an ice cream substitute for those who are lactose intolerant, NVC aims to satisfy all of your creamy dessert cravings sans dairy with their brand new scoop shop downtown. You may have seen the Nice Vice van around the city or their McArthurGlen pop-up last year. Nice Vice has a healthy mix of sweet and fruit flavours. I recommend the mango, cookies and cream, and chocolate anonymous for their heightened yet satisfying tastes. You should probably try as many flavours as possible to get a sense of their texture and your personal tastes. Scoops come in cup, cone, sundae (with chocolate/caramel sauce, brownies, and waffle bits, very top), and float forms. The root beer float was a surprisingly refreshing treat consisting of Capilano Tea House organic root beer paired their version of vanilla ice cream. 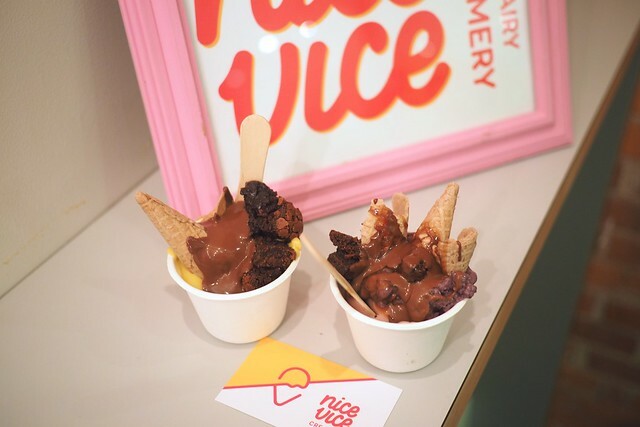 With its dairy free mantra, Nice Vice is aiming at the healthier alternative market for indulgences with their environmental and ethical consideration. 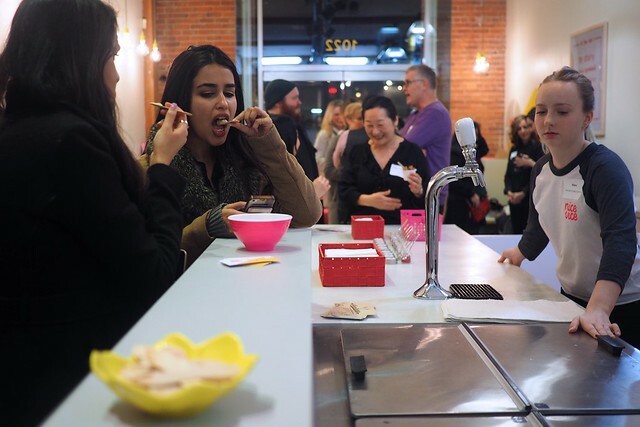 Their Yaletown scoop shop is open now.